I’ve had people ask me before what bare minimum record keeping is needed to get set up for tax purposes. It’s a great question! Financial records are extremely important to successfully running a writing or publishing business. I think that the simplest system works best. You may wish to file all written evidence of your income into one folder. File all sales receipts, royalty payments, paid invoices from clients and income statements from Paypal or your website shopping cart. If your business is very active, you might wish to have several folders for your various types of income. Expenses are usually more complex than income and I recommend that you devote several folders to sort expenses by categories. To make tax preparation simpler, use categories that correspond to the sole proprietorship business tax return, Schedule C Profit or Loss from Business. In each folder,, store your receipts, paid bills, sales slips or whatever proof you have of business expenses. Benjamin Franklin is credited with saying, “A place for everything and everything in its place.” This is good advice for all small business owners. 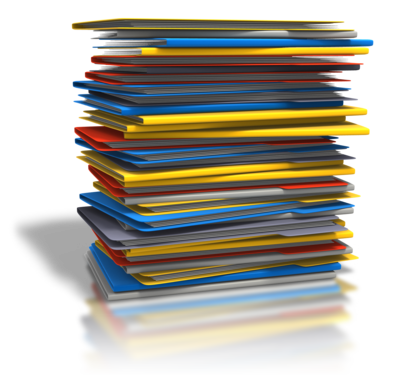 Keep your business records organized in a file folder system. Do an annual clean up by storing all documents in envelopes labeled by year. Retain these envelopes for at least three years. You will be very happy that you stayed organized at tax time or if you need to retrieve an important document. This is an excerpt form Chapter Eight of Business Taxes and Tips for Writers. Updated for the new tax laws from 2018!